The Acteon Microfiber Towel features a silver ion, anti-bacterial treatment to fight odor, useful for any trip, workout, or day at the beach. Lightweight at only 8.8 oz, the towel rolls up to a mere 3" x 3" x 7" for easy storage, yet provides you plenty of real estate when unfolded (30" x 64"). 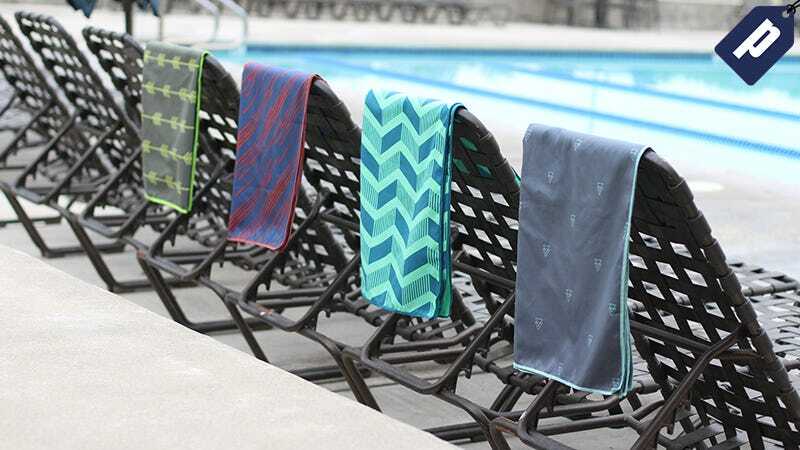 Use code GIZTOWEL50 and grab one for just $15, a savings of 50%. Full details here.